About us - Okovje d.o.o. Okovje d.o.o. is a company with family tradition founded in 1931, which before the war employed 60 people. The first business production program included furniture fittings and ski ties. In 1948 the company was nationalized, 1962 was put into operation again as a workshop production. Soon after the independence of Slovenia in 1992, the company was renamed again to Okovje d.o.o. and passed into the hands of the younger generation, and thus began a period of intensive investment in new products and equipment. 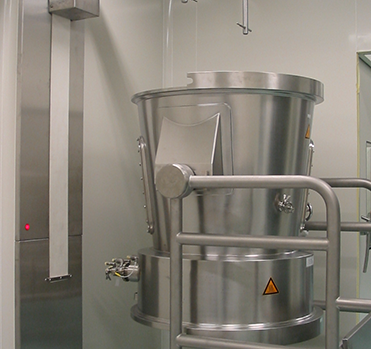 The company began to produce machines and equipment for food processing and pharmaceutical industries. Products such as industrial washing machines, drying lines, stockpile, cranes and other machines are assigned to production in the modern machinery by their own engineering department. From the basic parts of the process of packing, the company developed a system that enables the production of complete lines for packaging cans. The company also provides additional services such as maintenance and installation of machinery and equipment. The strategy and competitiveness of the company are quality products at low prices compared to the competition, especially in the western European market. Okovje d.o.o. intends to continue with the successful development and improvement of new and updated processing lines. By following the development of similar companies in Europe, the company plans to adapt new products to modern trends. Investing in knowledge of personnel and acquisition of various certificates. These adaptaions are already set. Our mission is to sustain our competitive prices, high-quality products, and good communication between employees, and partners.